(CN) – Bowing to pressure from state officials, the Department of Interior significantly altered its bid to reorganize how it manages public lands and the national park system. Interior Secretary Ryan Zinke told the Associated Press he is willing to incorporate state concerns into his goal of reorganizing the department according to watersheds and natural landscapes, rather than the current emphasis on jurisdictional concerns. 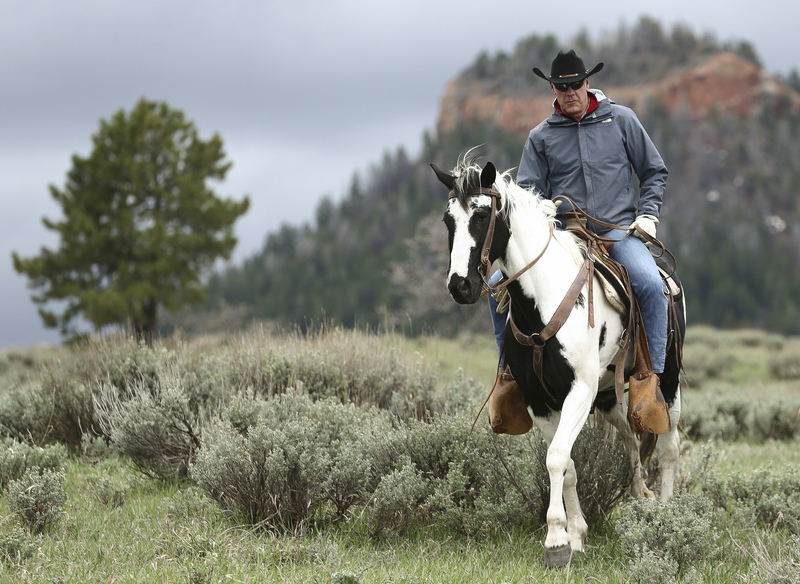 Zinke’s change in direction comes after a bipartisan coalition of governors from western states complained they were not properly consulted about the dramatic change in departmental structure. “Western governors regret that DOI did not seek input from western states on the impact of this proposal and did not seek to engage in meaningful consultation with western governors regarding these proposed changes,” the 19 governors who form the Western Governors Association wrote to Zinke in early February. In an example of the bipartisan nature of the pushback from states, the letter was signed by South Dakota Governor Dennis Daugaard, and Republican, and Hawaii Governor David Ige, a Democrat. Zinke’s proposal recommends decentralizing the Interior Department and instead vesting decision-making powers to 13 regional headquarters. Since being nominated by President Donald Trump, Zinke has maintained public lands managed by the Department of Interior, the vast majority of which are located in the American West, are not served well by a Washington-based decision-making process. In a Friday interview with the AP, Zinke reiterated these concerns and his desire to remedy them. Under the revamped proposal, California would still be divided in half with a nod to the different geographical concerns of the northern and southern portions of the state. Similarly, Nevada and Oregon would be subject to divisions. However, the updated map reflects changes governors wanted to see in that many of the states formerly cut into two or three are wholly incorporated into regions named after the chief geographical feature. Colorado, New Mexico and Wyoming would all fall within the Upper Colorado Basin, where previously the states were split. Other regions include Missouri Basin, made up of parts of Montana and all of the Dakotas, Nebraska and Kansas. The state of Missouri is included in the Upper Mississippi Basin, which includes Minnesota and Iowa. Western Governors Association executive director Jim Ogsbury praised Zinke for redoing the map to preserve state autonomy, but it remains to be seen whether California, Oregon and others will agree to being divided. California, which is reliably oriented against the politics of the Trump administration, has been divided into California Great Basin to the north and the Lower Colorado Basin to the south. Environmental organizations that have frequently and loudly denounced Zinke’s management – particularly regarding the reduction of national monuments and his attempt to encourage more oil and gas development on public lands and offshore – have been less vociferous on the structural reorganization front. But the move is not without its critics. Sharon Buccino, the director of land and wildlife for the Natural Resources Defense Council, says Zinke’s ostensible rationale for the reorganization is faulty in that about 5 percent of Interior’s workforce is currently based in Washington. “Reorganization is a waste of time and money when our lands and waters cannot afford it,” Buccino said. Other Democrats have accused Zinke, a former Republican congressman, of using the reorganization to gut the department or reshuffle employees seen as hostile to the new political direction. Zinke’s proposal requires congressional approval.